On 13 December, shortly after two Israeli soldiers had been shot dead outside an illegal Israeli settlement in the occupied West Bank, Yaakov Katz, editor-in-chief of The Jerusalem Post tweeted the following: “They celebrate death and we celebrate life. That is the core of this conflict”. Katz’s tweet encapsulated the dehumanization of Palestinians, and utter denial about the reality of occupation and colonialism, that is unfortunately all too common amongst Jewish Israelis. "Incitement", "brainwashing", "religious fervor", "extremism", "social media", "family problems" – variations on familiar refrains are trotted out, time and time again. Anything to avoid facing an equation familiar to every colonial power throughout history: The occupied always reject occupation. It's doubtful whether Katz, or any of the other apartheid apologists, ever imagine what it must be like to be a Palestinian in the West Bank, to have so much of your life controlled by a soldier’s whim and a general’s decision. Your house? Demolished. Your child? Shot dead. Your colleague? Jailed. Israeli politicians and "security" officials tell us that Palestinian youth are fed a diet of hatred and incitement – at schools, in mosques, and online. But Palestinian children do not need to be taught to hate when settlers attack them on their way to school, or when Israeli soldiers shoot their classmates, or when military judges jail their parents. Living under occupation is its own education – and it lasts a lifetime. It is hard to understate the extent to which Israel’s colonial occupation degrades and brutalizes Palestinians. Their homes and properties can be taken. Their bodies can be tortured. Their lives can be extinguished. And all of the above with total impunity. In its daily activities, the "Israel Defense Forces" is, first and foremost, above all else, a colonial army. According to former officers, “the number of soldiers the army needs to keep in the West Bank amounts to more than half, and occasionally two thirds, of its regular forces engaged in operational duties.” And 80 percent of those forces “are involved in direct protection of the settlements”. Of the 14 Israelis killed by Palestinians this year, seven were uniformed soldiers, and seven were settlers – all were killed in the occupied Palestinian territory. According to Israeli authorities’ own figures, out of 330 “terrorist attacks” in October (a category that includes throwing Molotov cocktails at occupation forces), not a single one was “executed within the Green Line”. Yet rather than draw the obvious conclusions from the above data – namely, that a military regime dedicated to protecting a settler population and apartheid system will necessarily engender a dynamic of revolt and repression – Israel only knows how to double down on occupation. Over the second week of December, for example, many Israelis have complained that the army’s “deterrence has been lost”, with demands from politicians and settlers for fresh collective punishment policies. These include further limits on freedom of movement for Palestinians, home demolitions, sanctions on the Palestinian Authority, and, in addition, a boost to the colonization of Palestinian land through settlement expansion and outpost authorization. The only concern for Israeli authorities weighing up such options – especially the military and bodies like the Shin Bet – is an anxiety not to upset the "equilibrium" to which so many resources are dedicated: Enough repression to subdue resistance, but not enough to provoke a wider uprising. Though Israeli analysts have fretted over a ‘spike’ in violence in the West Bank, the odds are currently stacked against an intifada. As Mouin Rabbani wrote back in 2015, “observations that the Palestinians have not had it so bad since 1948 should reference not only the various indicators that would lead one to suggest another uprising is imminent, but also those factors that together conspire against renewed rebellion”. The absence, in Rabbani’s words, of “an organisational infrastructure that can once again channel popular fury and mobilize, organize, and sustain a new Palestinian intifada”, remains. Looking ahead to 2019, the next year promises more of the same. Israel will go to the polls in April, and Prime Minister Benjamin Netanyahu will not want to be outflanked to his right by Jewish Home; the settlers urging a crackdown on Palestinians may be granted their wish. On the other hand, keen to avoid an election season dominated by a wave of Israeli casualties in the West Bank, Netanyahu will also be inclined to heed the warnings from army and intelligence officials regarding fueling a wider revolt. The status quo is thus likely to prevail – barring, of course, an unexpected development – which means more occupation and periodic, but limited, escalations. And all the while, the Israeli government will assure us that there is no partner for peace, the Palestinians teach their children to hate, and that to even dare breath the word "apartheid" is nothing but an antisemitic lie. - Ben White is the author of Israeli Apartheid: A Beginner's Guide and Palestinians in Israel: Segregation, Discrimination and Democracy. 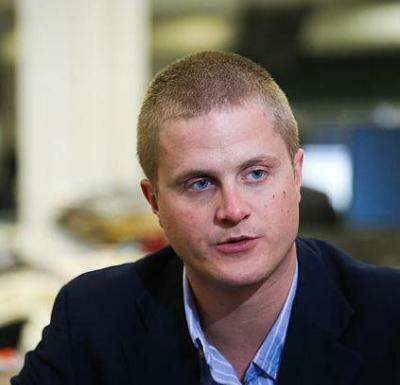 He is a writer for Middle East Monitor. His article was published in the Middle East Eye. Turkish President Recep Tayyip Erdogan on Sunday said the Israeli prime minister is heading "state terror", responding to his tweet attacking the Turkish army. 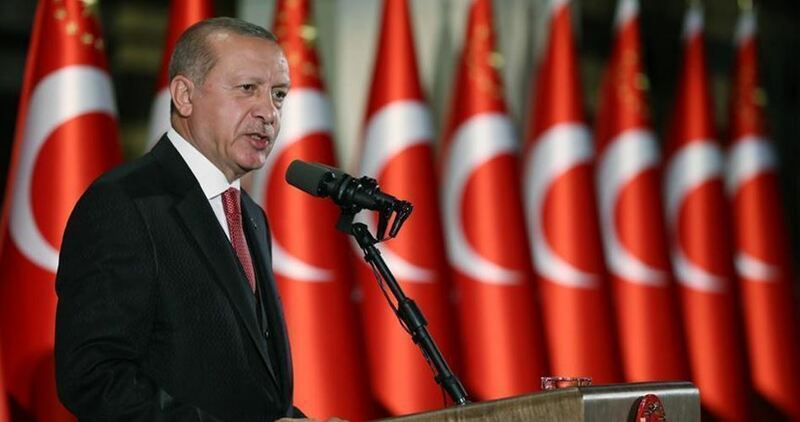 Speaking at a mass opening ceremony in Istanbul's Arnavutkoy district, the Turkish President said: "Erdogan is the voice of oppressed and you [Benjamin Netanyahu] are the voice of oppressors. You are conducting state terror." "Israel has no right to accuse anyone without accounting for its own sins, crimes against humanity, massacres and destruction," he said. On Sunday, Benjamin Netanyahu, on his Twitter account, attacked Turkish president over Turkey's counter-terror operation and Cyprus issues. The State Attorney’s unit operates outside the law to censor Facebook & YouTube posts; 2017 saw 500% increase in posts censored as a result of Cyber Unit’s action. 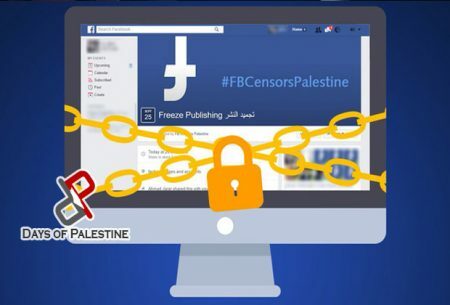 Adalah – The Legal Center for Arab Minority Rights in Israel continues to demand that Israel’s state attorney’s office shutter its “Cyber Unit” which – in collaboration with major social media outlets such as Facebook and YouTube – is illegally censoring user content. Adalah sent an initial letter [pdf] on 2 August 2017 to Israeli Attorney General Avichai Mandelblit, State Attorney Shai Nitzan, and Cyber Unit director Haim Vismonsky demanding that they immediately cease the illegal operations of the state attorney’s Cyber Unit. The state responded [pdf] on 11 November 2017, claiming that the unit operates in accordance with instructions from the attorney general and state attorney, according to an orderly work procedure. State authorities also noted that requests to remove content are made only when there is a public interest justifying such action, and that the activity of the unit stems from its statutory duty as an enforcement body to prevent the commission of criminal offenses. The state also noted that it not actually removing the posts but rather requesting that social media outlets take this action. In a follow-up letter issued to the same respondents on 21 November 2018 by Adalah Attorneys Rabea Eghbariah and Fady Khoury, Adalah stressed that the state’s response failed to address the constitutional and legal flaws inherent in the Cyber Unit’s activities. The state attorney’s authority in such issues is limited to the possibility of retroactively appealing to the courts and bringing suspects to trial. The court is the only body authorized to determine whether a particular social media post constitutes a crime and to order punitive measures. It is immaterial whether the removal of content is actually carried out voluntarily by a private body such as content providers. The Cyber Unit’s proactive approach constitutes a procedural act that must confirm to the principles of constitutional and administrative law. Israel’s dramatic increase in online censorship in 2017, without any legal authorization and in violation of a series of basic principles in constitutional and administrative law, raises the real concern of a potential spillover of state censorship of protected publications. Immediately transmit for our review a copy of the work procedure according to which the Cyber Unit submits requests for removal of content based on the public’s right to know. WHAT IS THE CYBER UNIT? The Cyber Unit began operation during the second half of 2015 and is responsible for “dealing with cyberspace enforcement challenges” via censorship of social media posts. This censorship – conducted in collaboration and coordination with social media outlets, including U.S.-based giants Facebook and YouTube – entails the removal of content added by users, restriction of access to certain websites, and outright blocking of users’ access to these sites. The number of Cyber Unit requests to remove content skyrocketed in 2017. Data provided by the unit revealed that in 2016 it submitted 2,241 content removal requests; of these, 1,554 were removed, and 162 were partially removed. In 2017, however, the Cyber Unit submitted 12,351 content removal requests – an increase of more than 500% percent; 85% of the requests ultimately led to the full removal of the concerned posts and another three percent led to partial removal. Cyber Unit clerks and administrative officials decide for themselves, within the framework of an alternative enforcement system, if a certain instance of expression “is incitement to violence and terror, and support of a terror organization” or is a “forbidden publication towards public servants in the framework of their jobs.” However, Israel’s state attorney is usurping authority – reserved for the judicial branch – illegally and without any legal authorization. The Cyber Unit cannot impose sanctions based solely on suspicion.